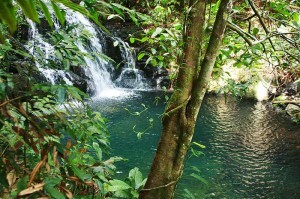 You are here: Home / blog / Moon Travel Guides Writer Explains The Best Reasons to Move to Belize! Some more favorable coverage about Belize, this time from an established Guide Book writer at Moon Travel Guides. Journalist Victoria Day Wilson recently penned a book “Living Abroad in Belize” and now offers her top reasons she chose Belize as her ex-pat country of choice after living and visiting several different parts of the world. She lists English as the official language and laws that are based on the British and American systems as two of her top reasons, in addition to wonderful climate, friendly locals, and very close proximity to the United States. She also mentions very low taxes, including no capital gains tax and no income tax for certain individuals. Moving to another country can be overwhelming, especially when there are visas involved, a currency to adjust to, and a new language to learn. It’s because of these reasons that many North Americans find themselves drawn to Belize, a country that boasts more than a tropical climate, beautiful scenery, and multiculturalism—it also offers many similarities to daily life in North America. Primarily English-speaking and roughly the size of Massachusetts, Belize has much to offer retirees, students, teachers, and those just looking for a change of pace. There’s no need to learn a new language. English is the official language of Belize and most of the population speaks it, as it is compulsory for all children to learn English in school. Spanish is also spoken, but expats can get by without it. The legal system is based on British Common law, which is the foundation of American law. The government is a democratic parliamentary model. Getting in and out of Belize is easy; there are no hard and fast commitments required. A “tourist visa” only needs to be renewed once a month for US $25. After a year, expats have the option to become residents. This gives travelers the chance to give Belize a test drive without too much red tape or financial commitment. The Belizean dollar is pegged to the U.S. dollar at BZ $2 to US $1, and both currencies are in free circulation. Therefore, there is no real adjustment required to a new currency. The government has made retirement in Belize an attractive option by introducing the Qualified Retired Persons (QRP) program. Participants can earn an income outside Belize tax-free and import personal effects to the value of US $15,000 (including means of transportation) tax- and duty-free.